Some children are squealers, some are biters. If you are really unlucky, your kid will be a runner. Where are they running to? No one will ever know. But for some kids the need to run away from food, shelter and parental protection is an adversarial evolutionary anomaly. I had twins who were rampant runaway crawlers. Once, we were in the library and both twins went in different directions at once. My three year old, Max, knew the drill: he grabbed one twin by the pants while I ran after the other twin. I returned to find Max, looking shocked, holding aloft a pair of baby pants. Henry had crawled straight out of them without pause and was now scampering triumphantly through the biography section, sans pants. My point is, if you have a runner on your hands, I feel your pain. Here are some tips to help you keep them in your jurisdiction. Keeping your kid strapped into the stroller when you’re out and about is one way to keep your little runner safe. Make their life a series of five point restraint chairs: from car seat to stroller to car seat to high chair and finally, if you’re really embracing the whole chairs-with-restraints thing, the bath chair. May their feet never hit the ground because they can’t be trusted. However, sooner or later they’re going to have to exercise those leg muscles lest they atrophy. So I would recommend finding an enclosed playground and letting him loose there a few times a week. I’ve seen this method a lot around my neighbourhood and I think it’s ingenious. This is the toddler leash you use when you’re not using a toddler leash. As an added bonus, it holds none of the stigma of a standard leash. If they’re wearing a hoodie, you keep hold of the hood to stop them running off. Subtle but effective restriction of movement tactics. Similar in execution to the hoodie, some parents have been delighted to discover that child backpacks come with a built-in handle at the top. Grab hold of the handle and don’t let go. Of course this method can be thwarted by crafty kids who will simply shrug their arms out of the backpack straps and go-go-go, leaving you holding onto the backpack sans child, like a fool. If you’ve got a bub who also doesn’t like to lie down for nappy changes, using a pull-up nappy is a nifty way to get them to step into their nappy whilst still remaining mobile and upright. A tricycle with a big handle on the back is a godsend to parents of willful tots. It gives the recalcitrant tyrant the illusion of being in control, while allowing you to control them like a manipulative puppet-master. The only problem is, it also gives the kid the idea that tricycles move by mind control, not by moving the pedals. 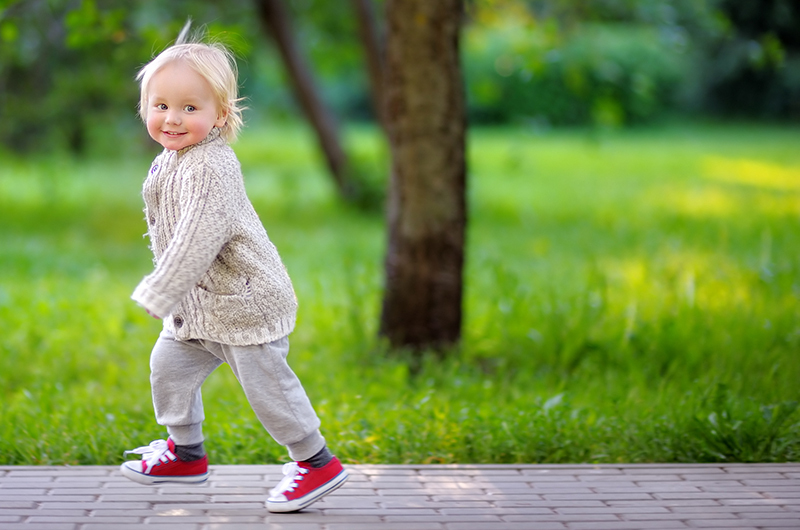 Yes, I’m talking about the dreaded toddler leash. To be honest, I don’t judge parents who use this method because when you’ve got a runner, life is both terrifying and exhausting. Some kids just don’t know when to quit. As soon as their feet hit the ground, they go-go-go and so the leash is the only solution if they are to live beyond their third birthday. However, it should be noted that experts don’t endorse the leash method. Apparently it stops them learning to pay attention to their environment. All they know of life is: leash on, can’t move; leash off, can run like the wind.